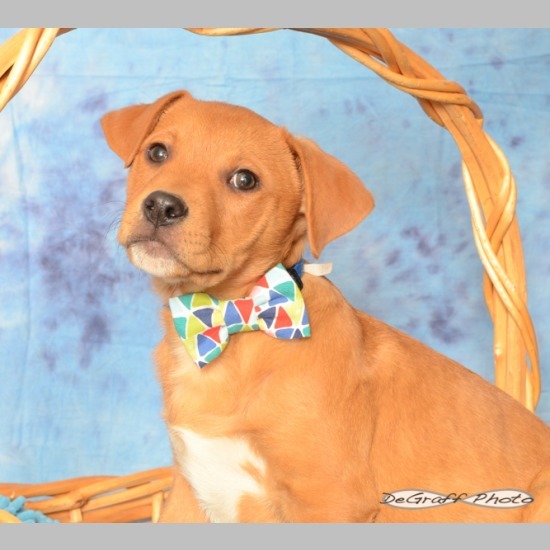 Charlie is an active, loyal, and intelligent Labrador Retriever mix puppy, who loves to please his people. He is very friendly, he loves all people and other dogs. He enjoys playing with his toys and is very active, so he'd love a home that includes him in all of their fun. Charlie is doing very well on his house training and his leash training. He is crate trained, and happily sleeps through the night in his crate. He knows his name and comes when called. 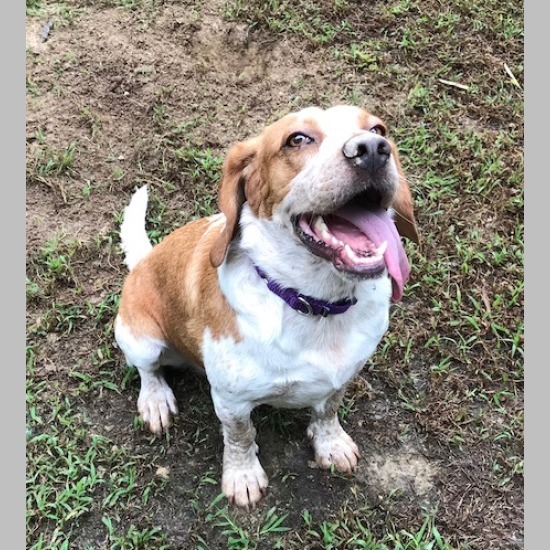 He would do well in a home with another dog, and he would do great with children, but they need to be 6 years of age or older. Since his is a young and active pup, he needs a home where his people aren't gone for long hours. He is ready to give lots of love and kisses to his forever family. Charlie will be neutered and micro-chipped prior to adoption. Hector is one heck of a great dog! He is very affectionate: he loves to sit close with his head on his human's lap. When Hector is not snuggling, he plays. He is an Equal Opportunity player and happily and energetically romps with all manner of dogs, regardless of size, age or gender. Chasing, tug-of-war, tussling are in his repertory of games. Hector also loves to race after balls, although he does not understand the concept of "return to sender." Anything that moves gets his full attention. Because Hector is so lively and playful, he will do best in a home with a fenced yard and at least one other dog to play with. The ideal home for Hector would be with an active family willing to take him on daily walks or runs and to give him lots of playtime. Hector is a great candidate for agility training or herding, and he would love it! Hector is neutered, current on vaccines and microchipped. He is looking forward to finding a loving and active forever home. This super sweet girl has had a rough start in life. Zoey was pushed out of a car near a major road, thankfully a good Samaritan saw this happen, picked her up and took her to safety at our local shelter. Zoey loves nothing more than cuddling up next to her foster parents. While she enjoys playing with her canine foster sibling's she wants her humans within seeing distance always. She is curious but has not displayed any signs of hyper-activity, she is more of medium energy girl. She enjoys our walks, but much prefers to be inside where it is nice and cozy. She is excellent with people, and other dogs. She would do best in a cat-free home since she is a bit too rough, and does tend to chase those that run. Zoey is also great with children, but requires a home where all children are 6 and over. If you are looking for a snuggle buddy, this is the girl for you! Zoey is doing well on her house training, she is crate trained and rides well in the car. She does well on a leash and is doing great with basic commands. She is eager to please! Zoey would do best in a home where her humans aren't gone for long hours where she'll get all the attention she will need to keep her happy and engaged. All kids need to be at least 6 years of age. A fenced-in yard and a playmate would definitely be a plus. She has been spayed and micro-chipped, and she is up to date on vaccines and preventative medications. Hey Everybody on the World Wide Web. My name is Peanut. Yes, Peanut is my name. I am in search of my new forever family. I am so ready to be loved and not wind up in a shelter ever again. I just love to say hello to everyone and will be super excited if you go out of your way to say hello to me. I am 6 months old and still have a lot of energy. I am really getting into my routine with a couple walks during the day and lots of backyard play time. I get along well with other dogs, but older dogs can think I am a bit too much. I learn to respect their space (most of the time). I just really want to play. I love my doggie toys and bones to chew on and will mostly chew on my toys and not yours--but still practicing. My perfect family will be patient with me as I continue to become the confident dog I want to be. I have been practicing my house training, learning to sit, walking on a leash, not jumping and I am crate trained but I will need continued support with my training. It really isn't hard if you have treats and patience. I have motivation! I love being around kids, but I do need a home where children are 6 and over- since I am a very playful gal. I had my first trip to the bus stop today. Oh, did I love that. So many kids. It was exciting. I am currently living with other dogs and cats. I do like to chase the kitties when they run so "they say" I would do best with dog savvy cats--those that know how to put me in my place. I do really like living with other dogs. I am up to date on my vaccines and will be microchipped and spayed soon. Just click on my name to apply today, my foster mom would love for you to meet me. 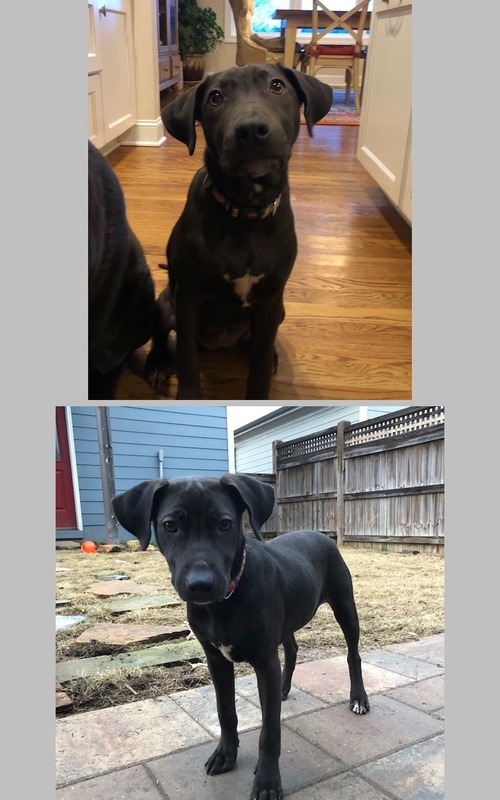 I am labeled as a lab/beagle mix and on the smaller side (maybe 30-35 pounds when fully grown). That means I am a good lap dog and I don't take up a lot of space in bed. Sasha is a huge ball of energy wrapped up in a tiny body. She enjoys very sniffy walks and is great on leash provided everyone else is walking in the same direction. Sasha is extremely sociable and loves everyone she meets, dogs included. 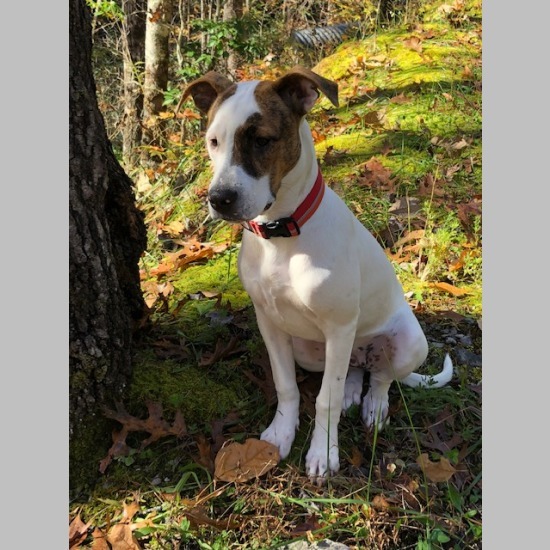 Since she is such an active gal, and an avid lover of wrestling with her canine buddies, she would do best in the home with another dog, and one that is also playful; and preferably larger than her. She gets along with cats too, but would do best with a dog savvy cat that will be able to explain that felines don't enjoy to wrestle with canines. Beware the floor belongs to Sasha and if you sit on it you become her new bed. She will fall asleep in your lap if you let her. Sasha is learning basic skills and doing very well on house training and crate training. She is spayed, microchipped and current on vaccines. Sasha is looking forward to finding a permanent home. Due to her wee size, she would do best in a home where children are 10 years or older. Frankie is a very sweet and loving dog who is very mild mannered. She is three years old and we believe she is part Anatolian or German Shepard and part Pug but are not sure. She currently weighs 57 pounds but we are working to shed a few excess pounds. She is very intelligent and quickly learned how to use a doggie door to go out to a fenced-in area. She is house broken and will either let herself out or tell you she needs to go out. She immediately fit in and was accepted by the two dogs in her foster home. She also gets along with the two cats. She loves attention and will roll over onto her back to get her humans to rub her belly and give her lots of attention. She is also a cuddler. She enjoys going for walks and is good on a leash. She has always been with other dogs so ideally her forever home would have a dog companion for her. She is current on her vaccinations and is heartworm negative. All children in Frankie's forever home must be 6 years of age, or older. 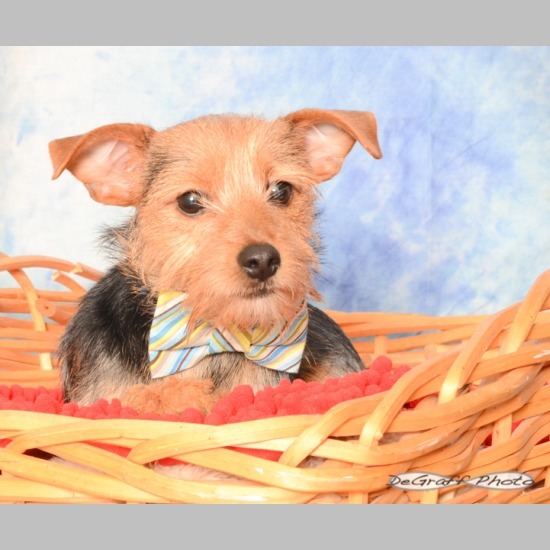 Kirby is a fun-loving, energetic Yorkie mix. His hobbies are kissing, cuddling, running and leaping. Kirby gets along with all of the people and dogs in his foster home and a forever home with a fenced yard (physical fencing, not electronic) is a must. Kirby would like a forever home where his people are not gone for long hours during the day and any children in the home should be 8 years of age or older. Click on the video link to see a short video of Kirby. Kirby is a 4 Paws Dog. 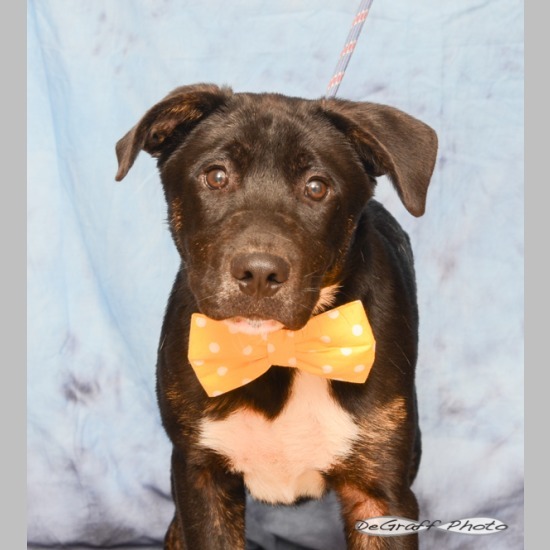 Due to this classification, his adoption fee is $275.00. Adoption pending. Do you love to get hugs and kisses? Then this is the pup for you. He currently is being crate trained and will sleep through the night. He is almost potty trained and is learning how to ring a bell when he wants to go out. He gets along with other dogs, big and small. He is curious about cats when he sees them but will not chase them. Ropes and crinkle toys are his favorites. After playing, he likes to snuggle and cuddle in a lap. He handles car rides well. Roscoe is now learning how to walk on a leash. 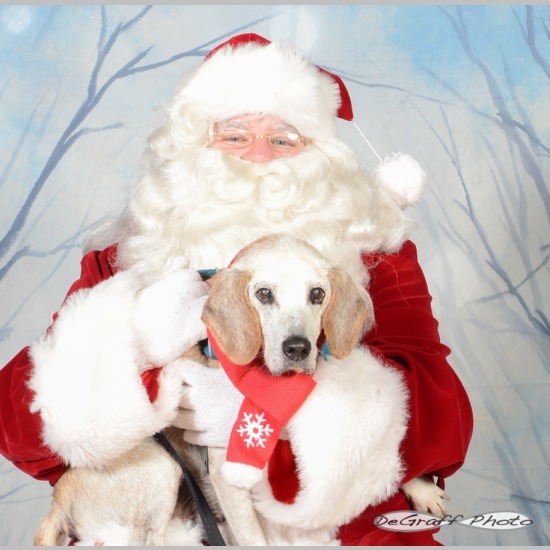 He enjoys visiting lots of new places, especially places he can meet other dogs and new people. 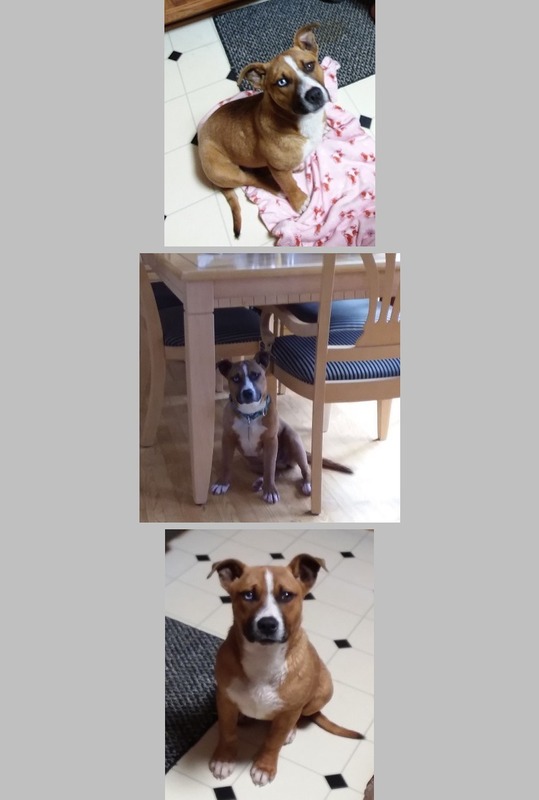 Roscoe has done well so far with children, he requires a home where all children are 6 and over. 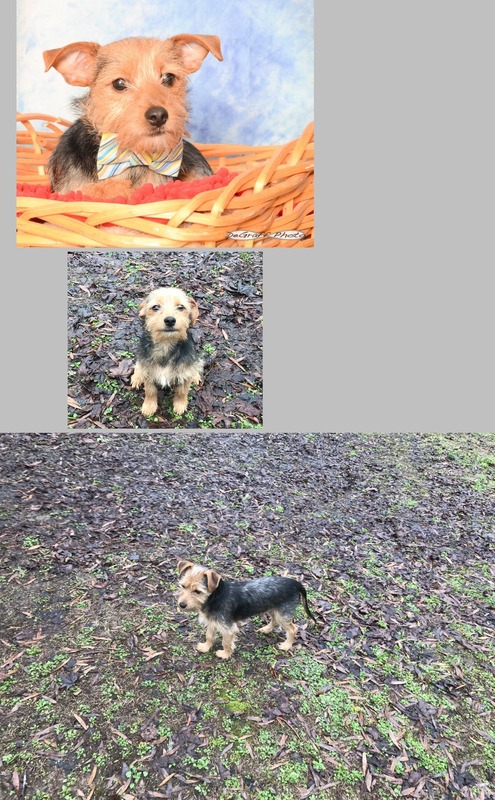 Since he is such and active pup and is often distracted by his surroundings, he requires a home with a fenced in yard (physical fencing, not electric). 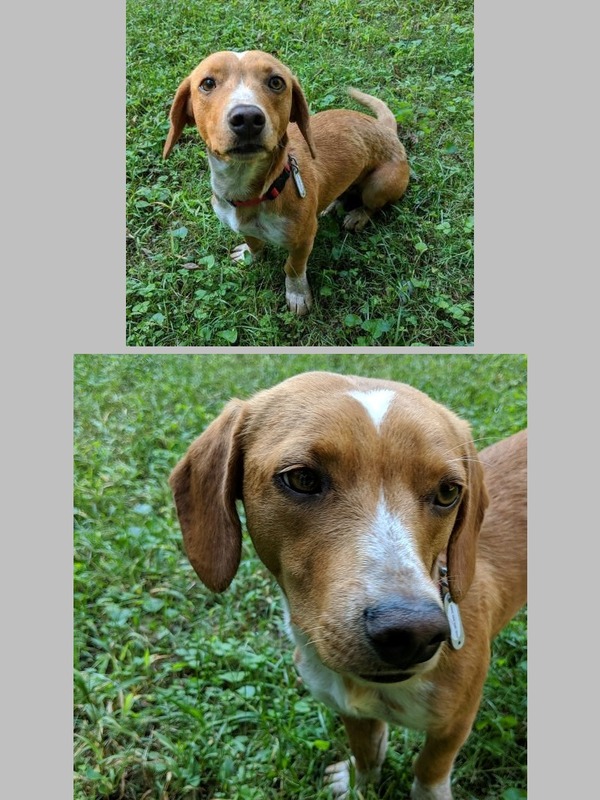 He will be neutered and microchipped prior to going to his forever home, he is up to date on all age appropriate vaccines, and is on both flea and tick prevention, as well as heartworm prevention. Cyrus is a sweet, happy, easy-going, fun-loving kind of boy. He loves his squeaky toys and playing with his canine foster siblings, he also enjoys cuddle and snuggle time with his foster family. Cyrus is excellent with other dogs of all sizes and appropriate with kitties, but would do best with a dog savvy cat. Cyrus is doing well on his house training, he is crate trained and rides well in the car. He is learning how to walk on a leash and basic commands and is doing well with both. Cyrus would do best in a home where his humans aren't gone for long hours and where he'll get all the exercise he will need to keep him happy and engaged. A fenced-in yard is a must and a playmate would definitely be a plus. 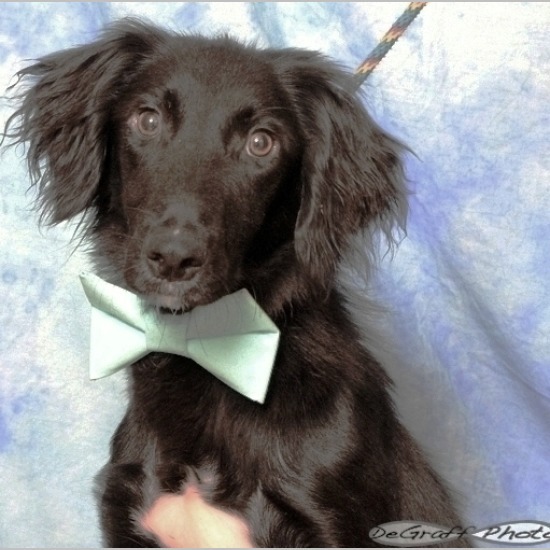 Cyrus has been neutered and micro-chipped, and is up to date on vaccines and preventative medications. Cyrus tested heartworm positive when he came into CARE, he has completed his treatment and is ready for his forever home. Puppies for profit. That's what Daisy's previous life was all about. Heaven forbid her litters get small, which as it turns out- was the best thing that's happened to her. Daisy and her last two pups were turned into the county shelter when the puppies were two weeks of age. They were all covered in fleas, and filled with worms. Daisy had been bred continuously despite her suffering from a luxating patella in both back legs, which was only exacerbated by carrying around all the extra weight when pregnant. Her diet had been horrible, her teeth were in dire need of a dental, and her coat was in need of some TLC. No more puppies for Daisy. She is quite content living the life of the doted on princess, and we have it on good account that she is loving all the things that her new life has to offer. She is a dedicated and loyal companion, and she will brighten some very lucky families day for a very long time to come. Her favorite pastime is "helping", and as long as a few walks around the neighborhood happen, and a warm lap is available at the end of the day (or throughout) she is happy. She needs a home with a fenced in yard, she enjoys exploring and needs a safe place to do so. She enjoys the company of dogs, but prefers they be on the smaller side and polite, yet playful. She can be bossy with cats, so only a dog savvy cat who isn't intimidated by her bravado- will do. She'd love a human who isn't gone for long hours, and one that likes a companion to come along occasionally for adventures too. She'd also prefer all humans in the home be 12 and over. After a long stretch of being in charge of young pups, she'd prefer a slightly more mature audience these days. She can be a bit nervous at first with strangers, but with a few tasty morsels of yummy treats- she can be persuaded to add to her inner circle of friends. Daisy has been spayed and microchipped, she has had a dental, and she has undergone surgery on both of her back legs to correct them. She has been vaccinated, dewormed, and is on preventative medications. She will require regular grooming throughout her life, please ensure you are willing to afford her this service prior to applying. CARE has invested in Daisy, and now we are looking for her wonderful, forever humans- to ensure she lives everyday to the fullest. ***Adoption Pending*** *Applicants must be residents of NC. 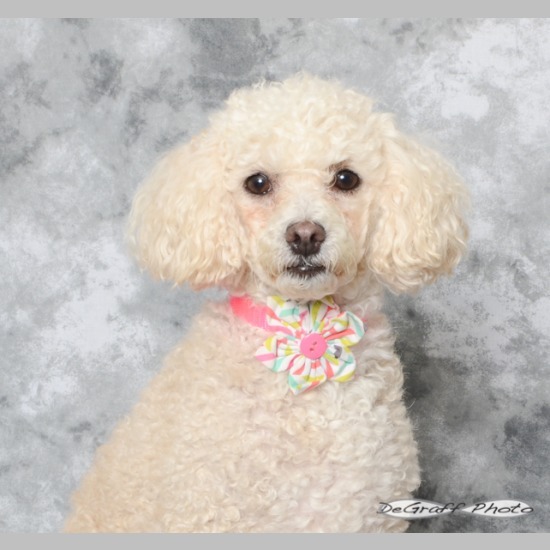 **Daisy is a 4 Paws Dog, which means her adoption fee is $275.00. Lola may not be a show girl, but she is definitely a dancer. Her favorite time is breakfast and dinner- she bounces back and forth on her feet while waiting for a meal, and she'd do just about anything for a treat. She balances on her hind legs and will twirl with the best of ballerina's, so if you have been seeking a companion animal to practice "freestyle" with, this gal may be just the perfect match. She is curious and loving, and an active gal looking for a fun family to love her forever. 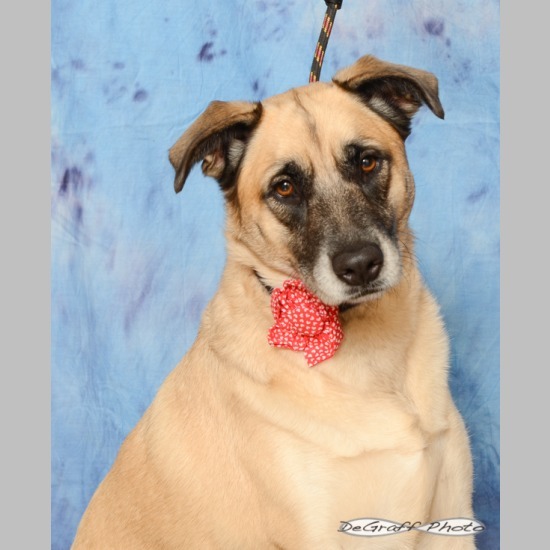 She is a "soft" dog, meaning that she would do best in a home that incorporates a lot of positive reinforcement, she really wants to please and takes it to heart if scolded. Her previous life was outdoor only, so she will occasionally still do something goofy, like walking on a coffee table if it is too close to the couch. She is learning boundaries, and all about the expectations that humans have. She is an avid fan of toys, and really wants a home with lots of fun stuff to play with. She adores other dogs, so another dog in the home would definitely be a plus. She is super curious and polite with kitties too. 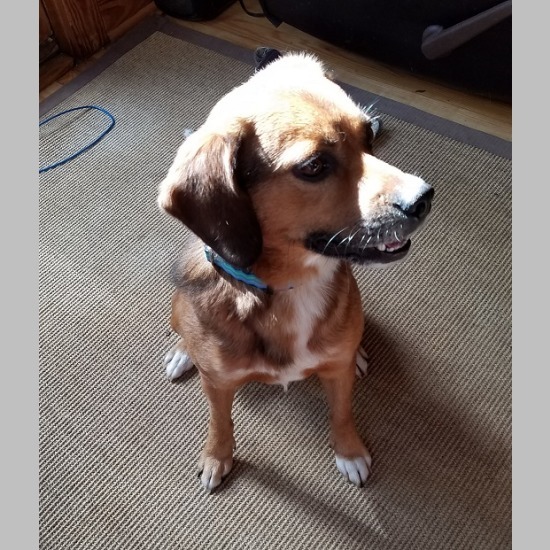 Due to Lola's breed mix, she does require a safe fenced in yard (physical fencing); she can get carried away while exploring and needs a safe place to do so. She would do best in the home with children who are 6 years of age or older. She has been spayed, micro-chipped, and is up to date on vaccines and preventative medications. Ginger Snap is a cuddly, loving, playful girl. 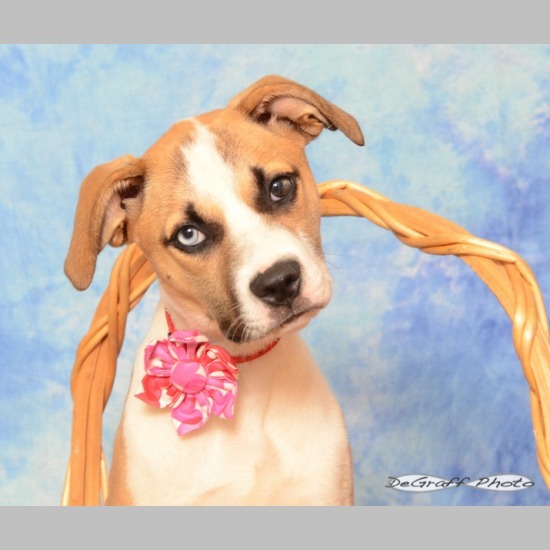 Everyone who has met her has instantly falling in love--how can you not, look at that face! She was a surrender at the shelter with her siblings. She still needs some reassurance that she is safe when experiencing new sounds and exploring. She will look to you for trust and guidance. She has done well with other dog (currently lives with a lab) and is good with dog savvy cats. Ginger gets a A++ with kids. She has been so loving and gentle at the morning bus stop where all the kids love on her. Ginger is crate trained and house trained. She will be up to date on all vaccines, microchipped and spayed before adoption. This is one girl you should definitely meet. 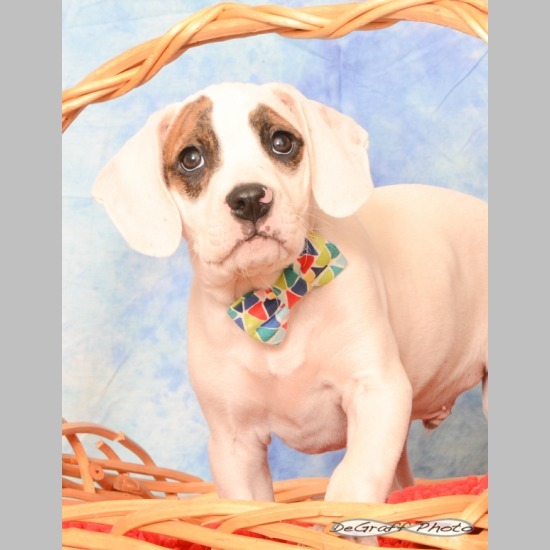 Tater Tot is a puppy that is full of life, and he loves to be the center of the party. Best guess at breed would be Aussie, Cattle Dog- but who knows?! What we can say for sure is that he loves yummy treats, and lots of exercise. 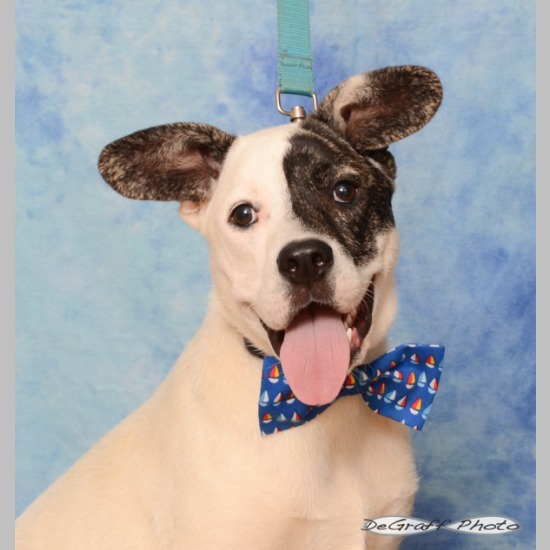 He adores participating in even the busiest of human activities and is very well behaved in public places so he would be the perfect addition to a home that wants to include a dog in all of their fun. He needs an active home that will continue his training and socialization to ensure he gets lots of mental and physical stimulation to provide an outlet for all of his fabulous Tater-Tot-ness. He is a devoted and loyal companion and after all of the wonderful exploring, he loves to cuddle with his people too. Tater is learning his obedience lessons, and leash lessons, he is crate trained and he rides well in the car. He would adore another playful dog in the home, one that can also be a role model for him in life. He likes kitties too, but he needs a home with dog savvy cats so that he continues his good manners. Tater needs a home where his humans aren't gone for long hours. 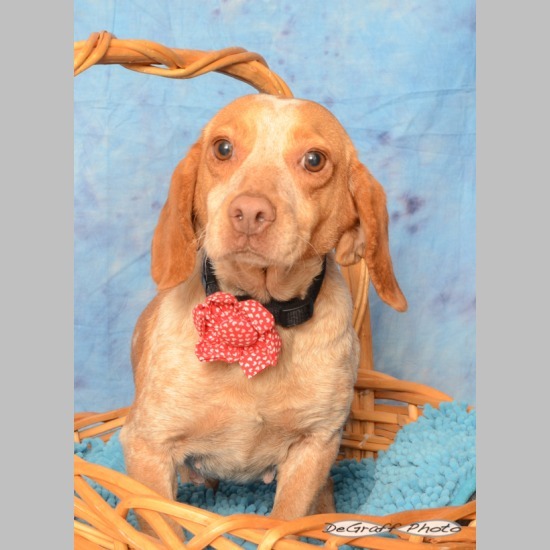 Tater can be a rough player, he would do best in a home where all children are 8 years of age or older. Tater has been neutered and micro-chipped. He has had all age-appropriate vaccines, and is on preventative medications as well. My name is Mystique but they call me Missy for short. I love kisses and cuddles. 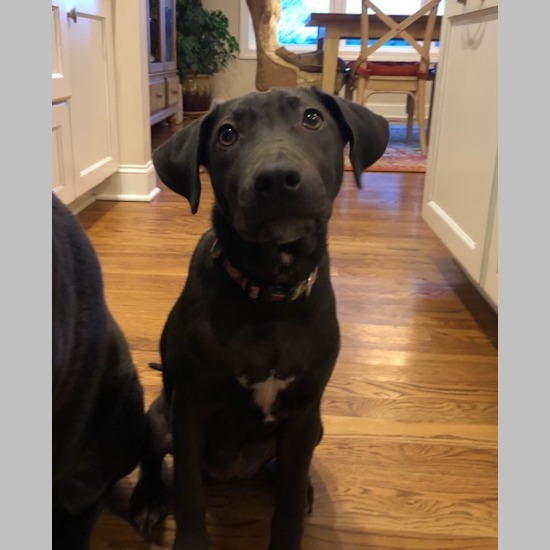 I am looking for a forever home that can provide me with lots of love and ways to use up all of my puppy energy. 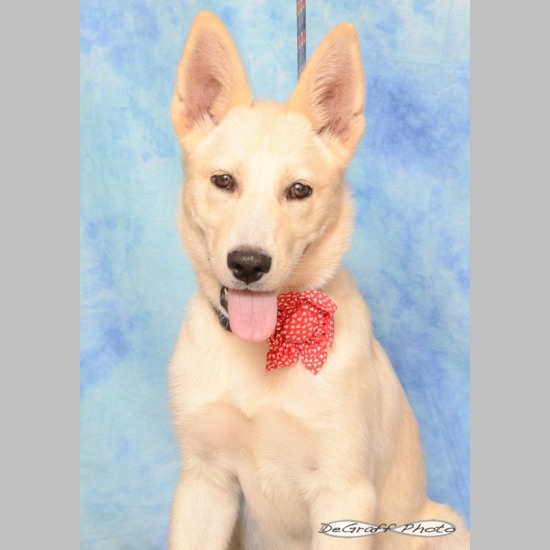 I am a very energetic puppy and like to keep busy, so I would do best with an active family who likes to have FUN. I get along well with dogs, but my introductions with kitties have been limited; a dog savvy cat would certainly be best for me because I love to PLAY. I am a curious puppy and I love to learn and explore new things. One of the best things that I love to do so far is playing in water. Baby swimming pools are awesome, but mud puddles are even better. I'd really like a fenced in yard where I can run safely, and if I have a big brother to wrestle with- that would be even better. 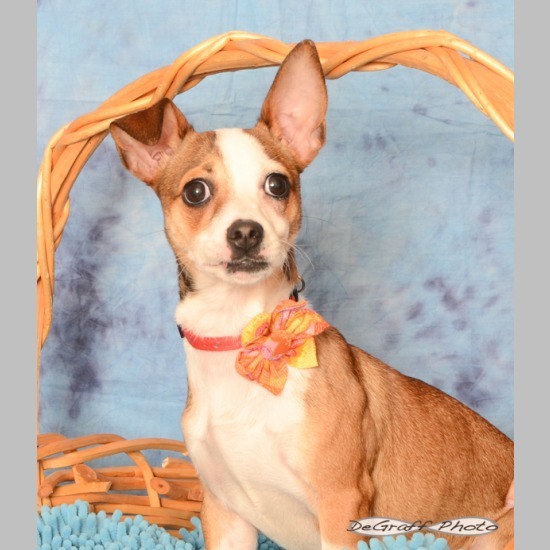 Missy is crate trained, and potty trained with a bell- she rings it to let her humans know she needs to go potty. She has begun learning her basic obedience and is such a quick learner- she knows sit, down, and she is learning more. All children in Missy's forever home should be 6 years of age or older, since she is a pup- she needs humans who are not gone for long hours. She will be spayed and micro-chipped prior to adoption. She is up to date on her vaccines and preventative medications. Lionel is a sweet, loving companion despite a lifetime of ill treatment (scar around neck from being tied out) and neglect (toenails curled under) and he has some hearing loss. He is adored by everyone in his foster home. 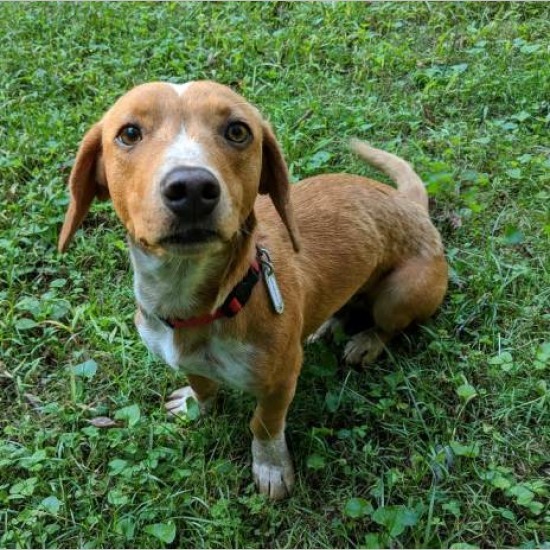 Lionel would like a forever home where his people are not gone for long hours during the day and where he has a fenced yard to play (physical fence, not electronic). Any children in the house should be eight years old or older. It is easy to make Lionel happy... just give him a warm bed, soft toys, good food and companionship. Click on the video link to see a short video of Lionel. Zoe is a 1 year old, 25 pound lap dog looking for her forever lap. This little noodle dog loves to meet new people or dogs and will play with anyone who is willing to show her just a little attention. Zoe is very agreeable and generally just wants to be part of the action. That being said, when the action is over Zoe just wants to be in someone's lap taking a nap. Those little legs can get tired, too! She currently lives in a home with one other female dog, with whom she gets along with splendidly. Zoe sleeps in a crate, is housebroken, and is learning sit, shake, stay, and to walk nicely on leash. Zoe would do best in a home with at least one other dog or with humans who can spend a lot of time playing with her during the day. She is an equal opportunity player, but it would seem her preference is for friends of the canine variety. Zoe has a great deal of energy and is very curious. She will need to be secured in a fenced yard while outside. Harry is a happy, fun-loving guy who gets along well with the other dogs and people in his foster home. Harry enjoys playing outside with toys and his dog pals and is equally happy relaxing inside. Harry would like a forever home where his people are not gone long hours during the day and a fenced yard (physical fencing, not electronic) where he can run and play. Any children in the home should be 6 years old or older. Click on the video link to see a short video of Harry at play. Heida is sweet, sassy, smart, and energetic- in addition to being beautiful. She loves the company of humans and other dogs. She adores her foster's 110-pound German Shepard brother and always wants to engage him in play. He is teaching her how to be a good dog. She has also learned how to get along with the older matriarch dog of the house who is generally not very fond of other dogs. 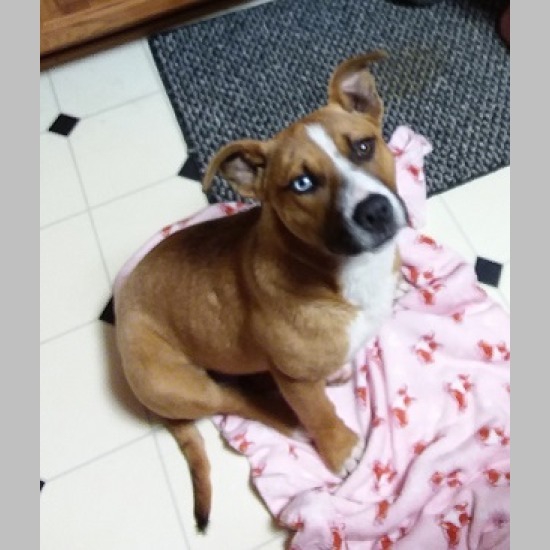 She has two cats at her foster home and is curious about them but has not shown any aggression toward them. 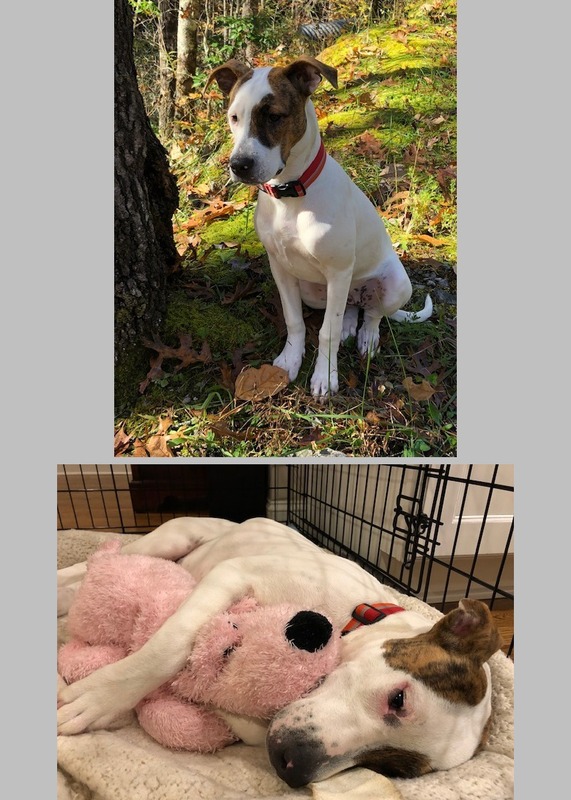 Heida is kennel trained and is almost completely house broken if she is taken outside after long naps. She loves to go on walks and is learning how to behave on a leash. She really enjoys squeaky toys and playing fetch with them. She is looking for a home that will provide her with a lot of exercise and attention. She is at a stage in which she likes to play rough, so a home with children over eight is required. 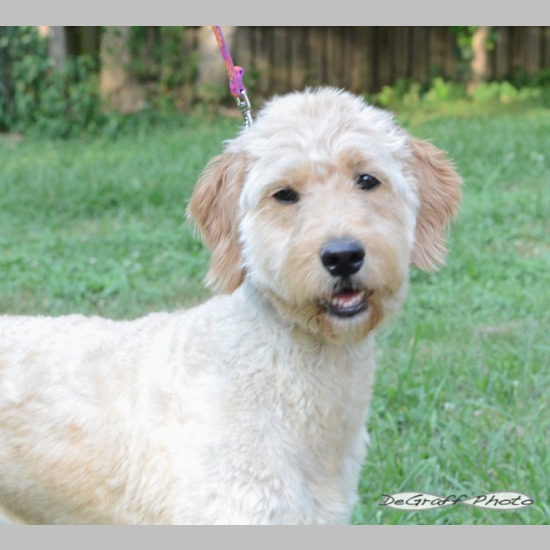 She is up to date on vaccines and preventatives, and will be spayed and micro-chipped prior to adoption. Kenzie is looking for a patient and experienced dog family to provide a calm and consistent environment. Her previous human was struggling from health issues and could no longer care for her. She is an active girl, so she needs a home that will take her on daily walks and provide lots of training to keep her mind busy too. She would do best with another playful yet balanced canine companion in the home. She is appropriate with kitties too, but would do best with dog savvy cats. A secure fenced in yard (physical fencing) is a must for this girl. Kenzie has some generalized anxiety and requires daily medication to help her settle more readily in the home. For this reason, her forever home needs to be one where all humans are 16 years of age or older. She also requires regular grooming, so be sure before you apply that you can afford her this requirement. She has been spayed, micro-chipped, and is current on vaccines and preventative medications.